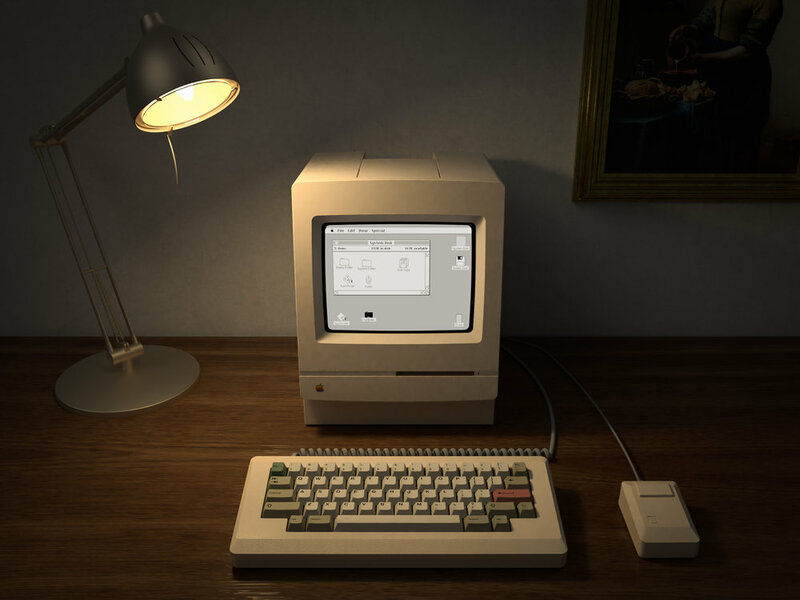 The Modern M0110 is a modern take on Apple’s M0110 keyboard from 1984 (read more on Deskthority here), which has inspired keyboards such as the Happy Hacking Keyboard with its blocked corners and countless community designs with its sweeping multi-angled chamfers and thick bezel. The unbuilt Modern M0110 weighs 7 pounds or 3.2kg and is manufactured in a range of surface finishes, including silver and grey anodized, light sand (beige) or black Cerakote, or custom Cerakote finishes. 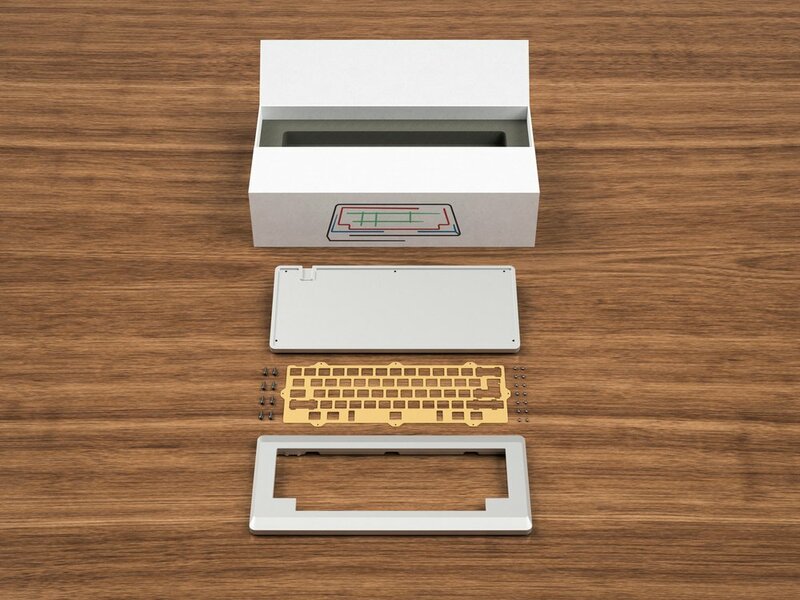 Light sand / beige is special to us as it truly evokes the aesthetic of vintage keyboards while being made from premium materials and compatible with modern switches and PCBs out of the box. All renders by /u/Janglad (janglad.com)--contact him if you need some awesome keyboard or keycap renders! Given the history of the original M0110, we searched for aluminum surface finishing options that would evoked the beige color common in vintage computers and keyboards and settled on a Cerakote finish in "light sand". Cerakote is an ultra-thin protective coating commonly used for gun parts. Keycap sets featured are (in order): GMK Carbon, GMK 9009, EnjoyPBT Japanese, and SA Penumbra to give you a feel for various beige / retro inspired keycap sets on the M0110 in this finish. All photos were taken with natural light and no image post-processing was applied. 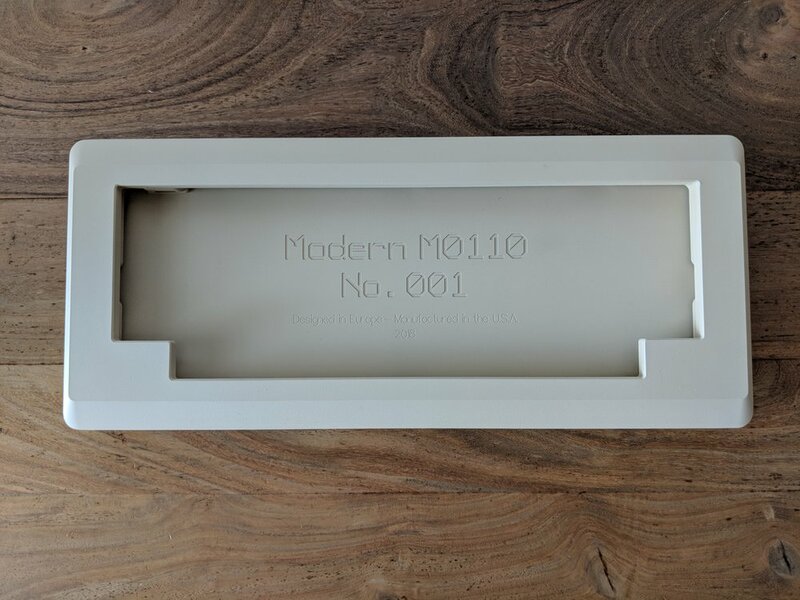 The Modern M0110 ships in a custom designed box with a logo designed by /u/GarrettSucks (aka DixieMech) with the base kit, a brass plate, and case screws to put it all together. Sign up for updates about the Modern M0110 and other Desk Candy products. We respect your privacy and won't share your data without your consent.